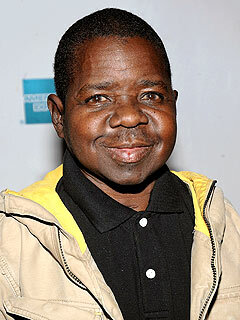 Gary Coleman, who by age 11 had skyrocketed to become TV’s brightest star but as an adult could never quite land on solid footing, has died after suffering a brain hemorrhage. He was 42. Coleman died at 12:05 p.m. at the Utah Valley Regional Medical Center in Provo, Utah, where he had been in acoma. Despite congenital health problems which led to his never growing taller than 4’8,” Coleman experienced a towering achievement at the start of his career. As Arnold Jackson, the plucky Harlem boy adopted into a wealthy white household on Diff’rent Strokes from 1978-86 – with his much-mimicked catchphrase of, “What’choo talkin’ ’bout, Willis?” – Coleman was pulling down as much as $100,000 per episode, though it was later reported that three-quarters of the money ended up being shelled out to his parents, advisers, lawyers and the IRS. At the pinnacle of his fame in 1979 PEOPLE reported that Coleman had grown up in Zion, Ill., north of Chicago, with nephritis, a potentially fatal kidney defect. He underwent two transplants before the age of 14. At one stage in his life, he underwent dialysis four times a day in order to survive. That led to commercials for McDonald’s and Hallmark cards before producer Norman Lear cast him in a pilot remake of The Little Rascals, which didn’t get picked up, en route to Diff’rent Strokes.